The rapid self-repairing fold-up door is the technological evolution of old PVC strip curtains, which are inappropriate for current industry needs. 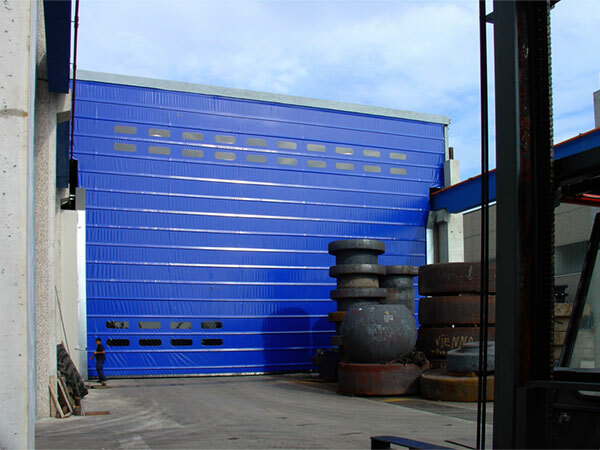 The rapid fold-up door is the ideal solution for fast and continuous transits. 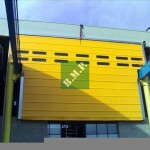 This door is the industrial technology of the fold-up crane door with ropes specially designed and branded as a BMP Group product. 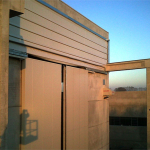 The rapid fold-up door is made of a PVC sheet with longitudinal stiffening bars, which provide unmatched wind resistance. The door provides a versatile range of movement and is extremely sturdy when closed thanks to its steel skeleton. 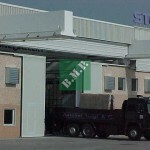 Companies that require this BMP Group product use cranes to move goods between two indoor locations or between indoor and outdoor areas. 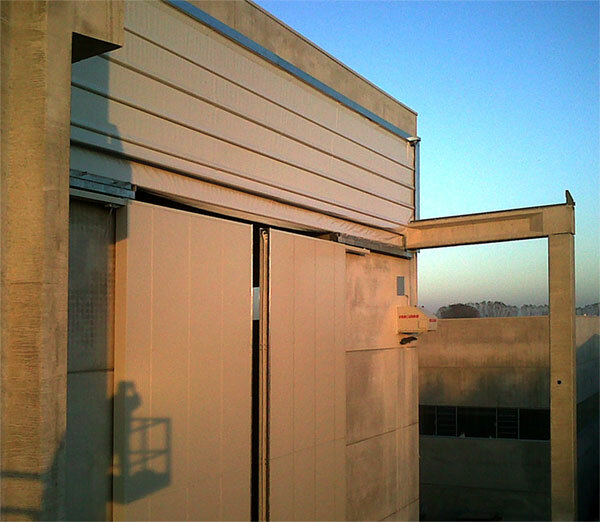 The fold-up crane door closes through the “mobile infill” the passage of the crane when this is not in use, thus avoiding wind noise or anything else that can cause disturbance. We remind you that the sheets and structures of our products can be customised with screen painting. 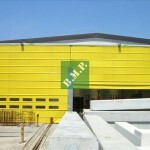 The BMP Group provides an excellent and safe product. 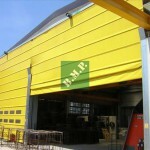 The industrial doors made by the BMP Group are unique. Always beware of copies. This type of rapid door is made of a galvanized steel U-shaped frame, designed to accommodate the sliding of the mantle. All of our fold-up crane doors are controlled by a control panel (380 V three-phase powered) and are designed for an intensive use of continuous service. 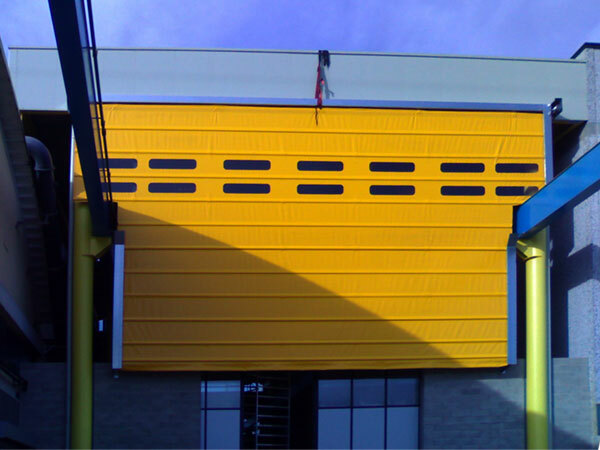 In the range of special fabric closures, we can develop custom large doors, both for rooms at the ground level and for overhead cranes. 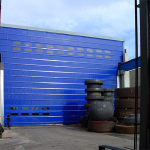 The maximum size of our rapid flexible doors is 35000 mm (w) x 18000 mm (h). 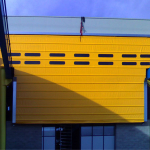 The doors can withstand wind gusts of up to 160 km/h, and are made with aluminium truss and double towel for closure of large dimensions which form a large amount of contrast.